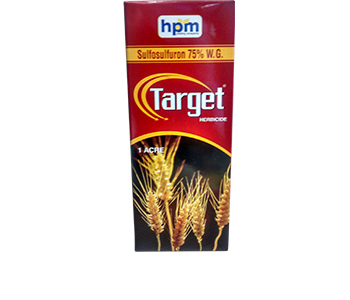 Target is a selective , early post emergence herbicide used for the effective control of halaris minorin Wheat crop. It also control broad eaved weeds like Chenopodium album, Melilotus alba and other problematic weeds. It controls subsequent flushes of Phalaris minor. Early control, check competition for nutrients, moisture etc. Best results are obtained when it is sprayed after 1st irrigation when soil condition is fit for spraying condition. It is branched chain amino acid synthesis (ALS or AHAS) inhibitor. acts by inhibiting biosynthesis of the essential amino acids valine and isoleucine, hence stopping cell division and plant growth. selectively derives from rapid metabolism in the crop. Metabolic basis of selectively in sulfonylureas. Systemic herbicide, absorbed by the root system and/or leaf surface, and translocated to symplast and apoplast. 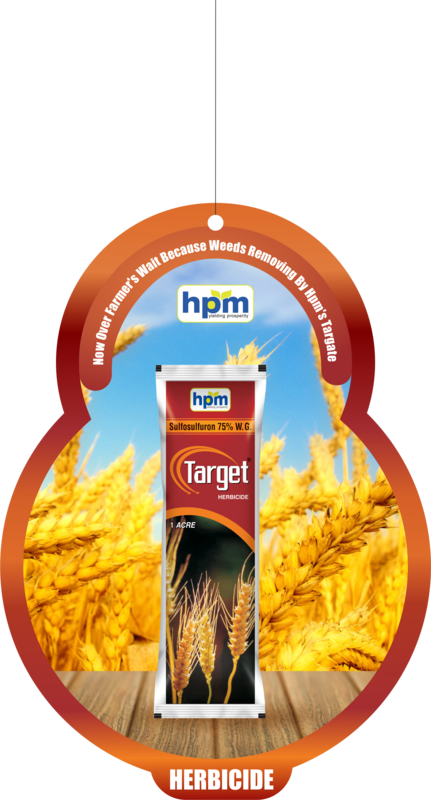 Target is a selective, early post emergence herbicide used for the effective control of halarisminorin Wheat crop. Not compatible with fertiliser solutions with pH ≤5,nor with non-ionic surfactants or other additives that alter the pH of the spray solution below ph5. Not compatible with malathion. Cleavage of the sulfonylurea linkage in soil is a major pathway of metabolism,with oxidative demethylation playing a significant role in some matrices. 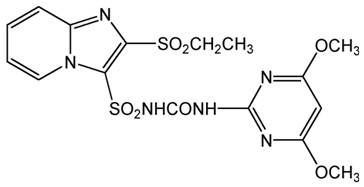 The primary degradation pathway in soil is the hydrolytic cleavage of the sulfonylurea to yield the corresponding sulphonamide and dimethoxypyridinamide. It is moderately irritant to skin and non-irritant to eyes. It is slightly toxic to birds and fish and non-toxic to bees.